At E&G Surveying Practice we are able to carry out Energy Performance Certificates (EPC) for you in the London Area. Only a suitably qualified person is able to carry out an EPC. This person will use the Reduced Standard Assessment Procedure (RDSAP) to carry out the assessment. RDSAP, is a government approved standardised system for measuring residential energy performance. Please complete the form below for a quote, and a consultant will contact you within 24hrs. From the 1st of April 2018 it will be unlawful to lease a property which does not meet the Minimum Energy Efficiency Standards, this includes renewals. The leasing of any non-domestic buildings with a rating below E is unlawful from 1st April 2018. Financial penalties for non compliance will be linked to the rateable vale of the building, and could potentially be up to £150,000. Building which do not have fixed services, and do not have the capacity to facilitate fixed services which condition the building. Buildings with no or low energy demands. New build EPC’s are required on off-plan building. It is the responsibility of the developer to ensure that the EPC has been carried out, and that Building Control has been notified. Building Control will confirm that Part L of the building regulations have been ratified, and issue a completion certificate. It is important that the EPC consultant is appointed at shell & core stage, to ensure that the building meets Building Control regulations. E&G Surveying Practice have the expertise & will work with in-house professionals to ensure you comply with the Building Controls compliance standards. E&G Surveying Practice and partners are ideally place to carry out your survey, as we have over 10 years industry experience and expertise. If you’re building is over 500m2, used in part or whole by public authorities and visited by the public. Then you need a Display Energy Certificate (DEC) EPC. A DEC EPC should be displayed in the window display and be no smaller than an A3. Your DEC certificate will last for 10 years. If the property is above 1000m2 your DEC report will need to be updated annually. Your DEC report will show the actual energy consumption of the building, and will take into account how the building is utilised. At E&G Surveying Practice we provide inventory services for ho meowners, landlords and individual tenants, as well as estate agencies and property management companies. The inventory report is a record of the condition of the property and the items included in the tenancy agreement. The inventory reports can serve as a guarantee for both parties of the contract. Inventory and Check In Report We will provide a well detailed report on your whole property including furniture, fixtures and fittings. 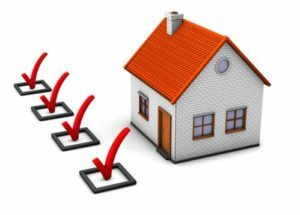 An inventory can be done in combination with check-in inspection which is conducted upon signing the tenancy agreement. We will determine the current state of the property and include the meter readings in the document as well. Interim Report This is a shorter and less detailed report that is usually conducted midway through a tenancy. The main purpose of the report is to record the upkeep of a property and inform the landlord of any maintenance issues that may need to be dealt with. This could be anything from damage to the property by tenants, to simple mould on the walls. Check Out Report The inventory report created at the start of the tenancy is used to compare the condition of the property. We will make a detailed report which will detail any differences to the condition of the whole property including furniture, fixtures and fittings. New pictures will be taken and the meter readings would be recorded to determine the exact amount of gas/ electricity/water/heating used by the tenant. Putting a halt to any disagreement in regards to utility bill charges. Using our in-house team of fully trained clerks whom are all members of professional inventory associations, we are able to accommodate your Inventory, Check Out, Check In and Property Inspection needs. Welcome to E&G Surveying Practice – We provide Fire Risk Assessments, as required by Fire Safety Regulations. The Fire Safety Order (FSO) applies to all non-domestic premises in England and Wales. The Regulatory Reform (Fire Safety) Order 2005 came into effect in October 2006 replacing over 70 pieces of fire safety law. The order applies to common parts of blocks of flats and houses in multiple occupation (HMOs). Identify fire hazards – eg, how could a fire start? what could burn? Consider the people who may be a risk – eg, employees, visitors to the premises, and anyone who may be particularly vulnerable such as children, the elderly and disabled people. Record, plan and train – keep a record of what risks you identified and what actions you have taken to reduce or remove them. Make a clear plan of how to prevent fires and, should a fire start, you will keep people safe. Make sure your staff know what to do in the event of a fire and if necessary that they are trained for their roles. Review – An assessment must be reviewed regularly by the responsible person especially where changes to the property layout or usage occur. It is good practice to action a full assessment with documentation yearly. E&G Surveying Practice will provide a competent and qualified surveyor. We will review your current policies and procedures’ ensuring all documentation is compliant with HSE guide lines. We will provide a workable document for your property’s fire safety looking at all passive and active fire protection. We will provide a workable document with clear findings and recommendations which can also be used for staff training. Copyright © all rights reserved - 2017, E&G Surveying Practice.